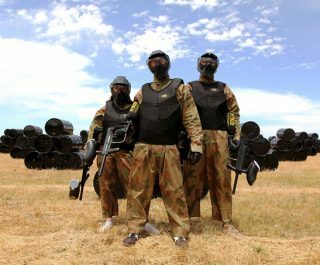 The Delta Force Gerrards Cross paintball centre near West London is perfect for paintball enthusiasts living in and around Buckinghamshire. Conveniently located only minutes from the M25 and M40 motorways, this centre is easily accessible from nearby towns such as Maidenhead, Uxbridge and High Wycombe. 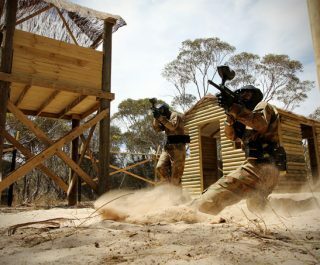 Like all centres under the Delta Force banner, the Gerrards Cross Paintball Centre offers players the same high standard of game zones, state-of-the-art paintball equipment and professional service from staff and marshals. 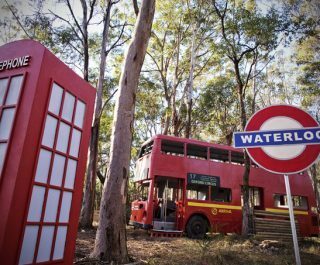 Delta Force Paintball West London also features an exciting post-apocalyptic London combat scenario, where players get to take cover in abandoned double-decker buses and do battle on the capital’s deserted streets. 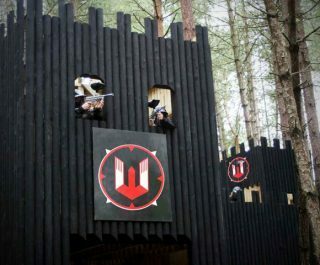 If that doesn’t inspire your combat senses, then how about storming the two-storey fortress of Castle Wallenberg? 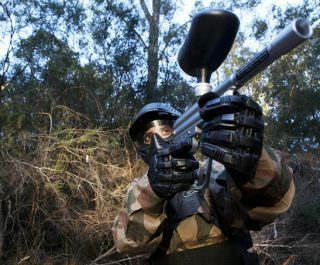 Book the West London paintball centre now by visiting the paintball booking page or calling our events team 24 hours a day, 7 days a week on 0203 869 9301.